Our dismay at the gender imbalance in the representation of Irish poets in The Cambridge Companion To Irish Poets (2017) is exacerbated by the gender imbalance in the critical contributors to it. Out of thirty invited contributors, only four are women. As writers and academics, this is an absence we can easily address in future edited volumes. We propose to do so by means of a pledge, which we invite you to sign with us. Our pledge is short and simple. It commits us to asking questions about gender representation early on in collaborative projects such as edited collections, conferences and festivals. It commits us to withdrawing our participation when, in our opinion, insufficient effort is made to render representation fair. Editors, publishers and organisers should consciously set themselves the task of including roughly as many women as men in their anthology, edited collection, conference or festival. Because of past neglect, editors and organisers may need to work a little harder to come up with female names for their project. Realising this, they should make an extra effort to ask around and to search for female names in the available literature. In many cases implicit bias will have been involved in women being less famous, so editors and organisers should make an effort to include some slightly less famous female names. Studies have suggested that both men and women tend to evaluate women more negatively than men in professional contexts: women may need to do a lot more to be considered successful than men do (see for instance Moss-Racusin et al 2012). Editors and organisers should bear in mind that the first female names they consider for inclusion in their project will be those of super-famous women, while they simultaneously consider less famous men. That is, they may be unconsciously setting the bar higher for women. Publishers, editors and organisers should avoid automatically structuring a conference, volume or festival around an eminent man; they should consider building one around a woman, group or theme instead. Publishers, editors and organisers should develop a policy with regards to their efforts towards fair gender representation and they should be explicit about the efforts they are making. They should let everyone know that they are making a good-faith effort to get gender balance right. Whoever you are, if you are involved in any way in the production, publication, reception or criticism of Irish literature, we hope you will join us in signing the pledge below. 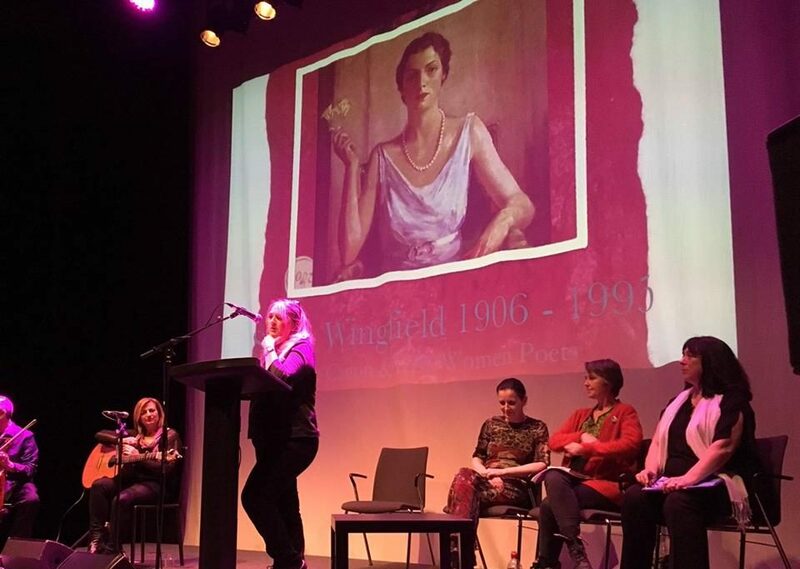 Thanks to Eavan Boland, Rita Ann Higgins, Dr. Lucy Collins, Emma Penney, Ailbhe D’Arcy, Mary O’Donnell, Chris Allen, Jaclyn Allen, Kate Dempsey, Kimberly Campanello, Laura Loftus, Maria McManus, Moyra Donaldson, Melony Bethala, Alex Pryce, Doireann Ní Ghríofa, Nessa O’Mahony, Sarah Clancy, Elaine Feeny, Elaine Cosgrove, Fióna Bolger, Victoria Kennefick, Anne Mulhall,Barbara Smith, Gillian Hamill, Anne Tannam, Maureen Boyle, Stephanie Conn, Alice Kinsella, Paul Casey, Lia Mills, Katie Donovan, Mark Andresen, and Selina Guinness. I pledge henceforth to withdraw my participation from publications, edited collections, conferences, festivals and other projects which do not make what I consider to be a good-faith effort to adequately represent the contribution women make to literature and literary criticism. I pledge my support. I am an Irish poet living in Toronto, Canada. I will add your name! This site was designed for Fired! 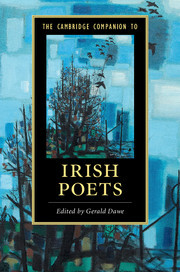 Irish Women Poets and the Canon by Chris Murray & is licensed under a Creative Commons Attribution-NonCommercial-NoDerivatives 4.0 International License.